Dragon Ball has become a piece of popular culture that has revolved around many peoples’ likings and hobbies. Many people grew up watching the anime show through their local TV channels and became into an immersive experience, when Goku needed help we would lend him our strength to defeat the bad guys. When I was very young, I had the chance to play Dragon Ball Z: Hyper Dimension for the SNES, and even though I never knew how to land a Kamehameha or any special or super for that matter, it felt amazing to play as my heroes from the show. As I grew older I came across many more Dragon Ball games that became more and more visually appealing, but they never really offered what I felt with the SNES title. 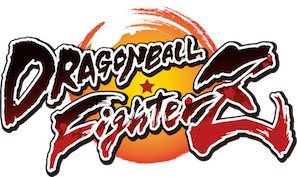 Fortunately, and at last, Arc System Works steps into the scene with BANDAI NAMCO to create their own Dragon Ball game with their celebrated 2D fighting style design and delivers Dragon Ball FighterZ on Xbox One, PS4 and PC. Our super fighters have never been seen in such a spectacular way as with the advanced 3D models in such a high pace style that truly honors the anime. 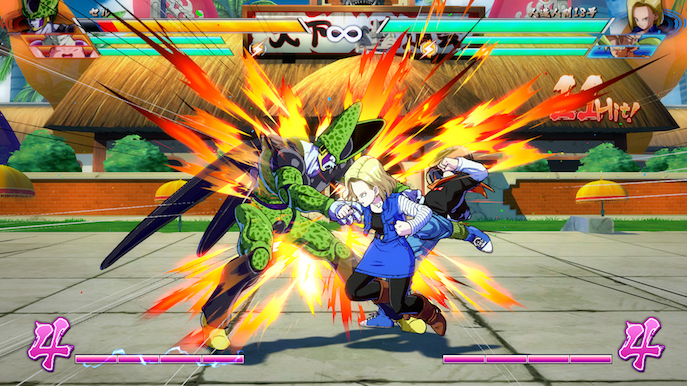 Dragon Ball FighterZ (pronounced Dragon Ball Fighters) is a 2D action fighting game. It features a unique storyline following up after the events of movie Dragon Ball Z: Resurrection ‘F’, so obviously it pretty much assumes you have watched until that point at least, not that is required to enjoy the game of course. 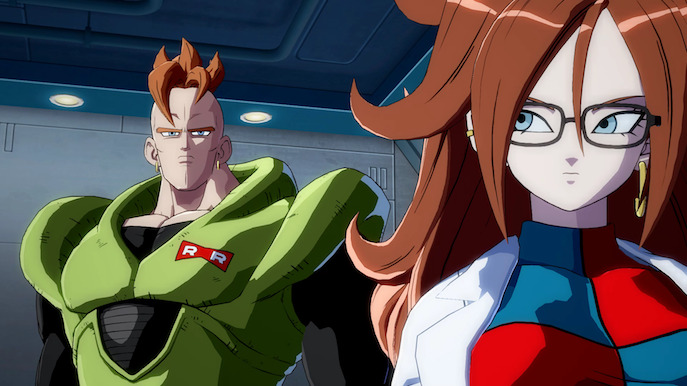 It also debuts an original character – Android 21 – whose creation was supervised by DRAGON BALL creator, Akira Toriyama. This character is the center of attention for the main storyline in the new title of the franchise. WHAT DOES THE GAME LET ME DO?! 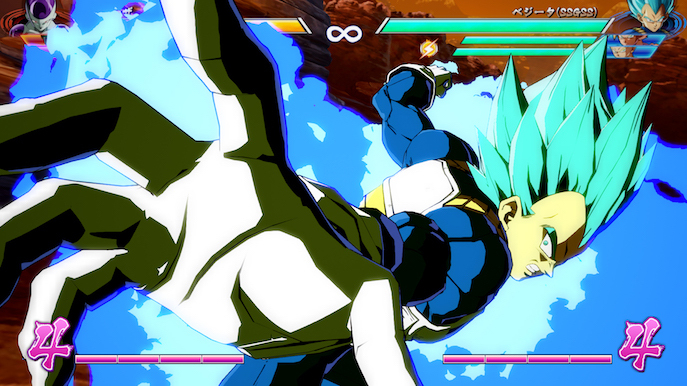 The game offers a Story mode, an Arcade mode, Local Battles, Online Battles, Ranking system, worldwide servers, Replays, and a Shop. All these can be found as NPCs in a virtual Hub where you can move around as a chibi version of your favorite Dragon Ball character. The Story mode offers 3 Arcs. For each one of these, you play a respective perspective, according to the alienation of the characters. For example, the first one you play as the good guys, while the second one you play as the villains. The story shifts according to these characters and slowly you will put the pieces of the puzzle together to finally find the answer on the last Arc. 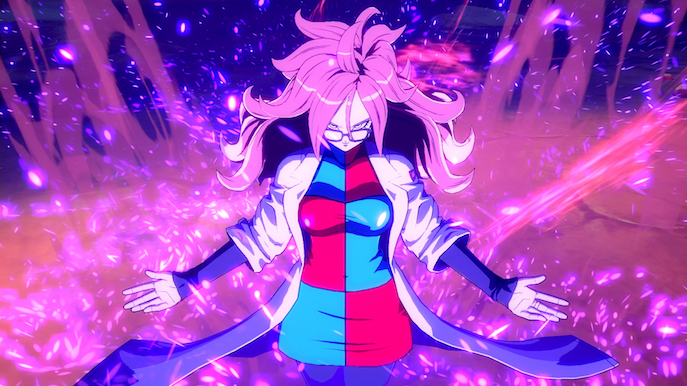 The story revolves around Android 21, a character who´s metaphor is to sprout seeds, harvest, and become stronger. What this means in reality, she brought back every fallen strong character from the franchise with the Namekian Dragon Balls, and with the help of Dr. Gero’s laboratory equipment from the Red Ribbon Army, created a bizarre technology called Soul Linking, which creates earthling souls (or artificial souls. During the whole story, it’s a very conflicting message) which whole purpose is to link themselves to the strongest fighters in the planet and make them unable to use their powers. The only way for them to recover them is to allow the soul to fight for them and strengthen their soul link. The soul in this case is a way to integrate the player, yourself, as a character in the game. Why would Android 21 do this kind of stuff? She is basically “farming” characters so they become stronger so SHE can obtain their strength for herself. As simple as this story seems to sound, yes, it does decay after the first 2 Arcs but the twist in the last Arc saves it at least decently. WHAT MAKES IT INTERESTING THOUGH? 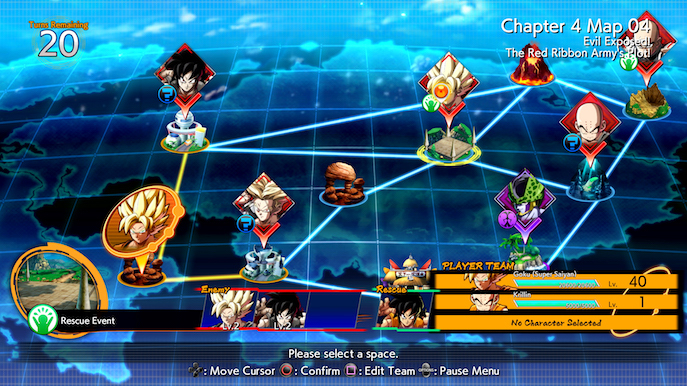 The Story mode is played through Chapters, each with its own map. 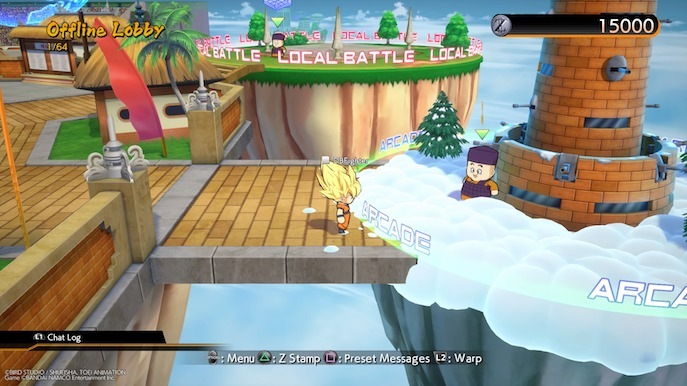 The map has stages which you can jump into and do the specific match and against specific opponents to advance. Each movement in the map takes a turn and makes other enemies from other stages grow in level. You have limited turns but there are more than enough to finish a map before you run out. In This mode, you level up the characters you play with the most, but you only have one health bar for each one, they can be healed after every victory and you can aid yourself by unlocking passive buffs when defeating certain stages of the map. Make sure to play around with your whole unlocked characters, because if they are all defeated its game over and you will have to restart the Chapter. It’s definitely an interesting way to play the story mode of a fighting game, instead of just a straight playlist with cut scenes in between. It gives the game a peculiar RPG element to it, specially with the passive buffs which can grant you either increased XP, increased Zeni earned, more healing, extra HP, normal attack or special power. You can also stack these up to 3 times, making some fights hilarious as you melt enemies with triple extra attack power. As for the rest of the other content, in the Arcade Mode you can play three different paths, one having more matches than the last, it’s obviously a typical fighting game playlist where at the end you are given a grade according to your score and overall performance for each match. As for the Shop, you can purchase capsules which work as the game’s loot boxes. These can be obtained through in-game currency only called Zeni which can be obtained by doing pretty much everything the game offers such as learning the tutorial, doing casual or rank matches, completing the different game modes, etc. 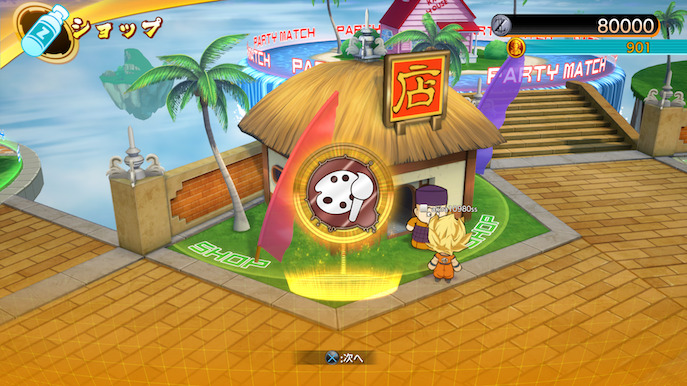 1000 Zeni can buy you one capsule which grants you an item from a very big loot pool, these can be Player Cards, Lobby Chibi character models or color variants, Z emotes for chat shenanigans, titles and more. In my opinion, this is a very nice addition to the game where people don’t feel obligated to play and grind for stuff they must have, but just a casual rewarding system that does not stop them from progressing the actual game, that’s the advantage of just giving your loot boxes a loot pool of just cosmetic items. Right, moving on to the actual genre of the game. Fighting games have progressively evolved to become more accessible to new players and DBFZ is not a exception. If you’re new to the genre, you will find the tutorial to be a huge help as it most of what you can do and even clearly show you the button prompts, timing and sequences to achieve specific moves or combos. After finishing the tutorial people can jump in to any other content they want, you’re free to choose. Like any other game, practice makes perfect, to the point where you will realize that at one beginning you were randomly mashing your controller, then the next you’re performing long streak combos through muscle memory. The game offers a huge roster of characters, learning them is one ingredient, finding the best point, middle and anchor characters for your team is another, and the whole synergy you have with them is the whole plate. Landing attacks, combos and specials feels very intuitive and relatively easy in DBFZ. The motion you have to input and learning the assists prompts and macros will become familiar after you mashed enough. Every attack feels great and even though there is a fair amount of stun locking, every character can counter and block well if done correctly. Like I mentioned before, practicing will make you much better, but remember that one thing is to practice combos on an idle AI, another is to play through the whole Story mode from 5 to 15 hours, and another is to play with real players from different regions. For beginners, it may feel a bit overwhelming as the struggle to be a part of their favorite franchise is very real, but the community is vast and there will always be folk more than willing to aid your training and give pointers that will allow you to stand out. Audio-visually speaking, the game is absolutely gorgeous. It is visually stunning thanks to the particular style that Arc System works gives to their fighting games, in collaboration with a strong soundtrack makes for every fight to feel amazing. Cut scenes and dialogues are hilarious at moments and animations are not mediocre at all. 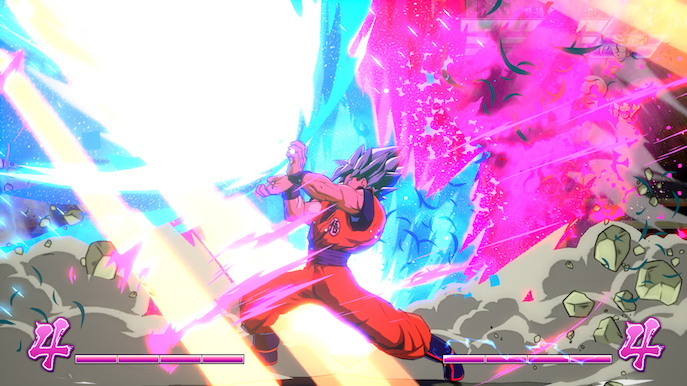 Special FXs, particles and sound design truly honors what the Dragon Ball universe is all about. From normal special attacks, destructive finishes with specials, to dramatic finishes. The game will feast you with amazing easter eggs from the anime which show how much love it was given and how much they know how much Dragon Ball has impacted people around the globe. A highly recommended title for anyone who wants to jump into the genre.